The Rev Ron Hunt returns to the studio to discuss the latest including last year&#39;s opportunity with Ring of Honor, working as an actor on Hulu&#39;s Castle Rock, commentating with Ryse Wrestling, and leading up to his cage match with Chris Taylor at RWA Aggression. 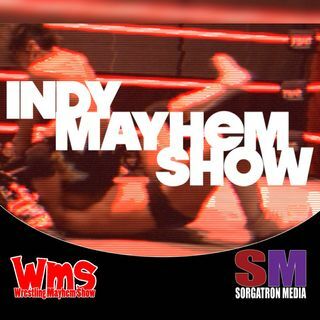 Share your feelings on indy wrestling and tell us who we should talk to on the show via e-mail at goodtimes@wrestlingmayhemshow.com! Go to ... See More wrestlingmayhemshow.com for more entertainment!